The process of copyrighting your music is easier than you might imagine and has its advantages in protecting the music you've created. For example, a copyright is a public record that proves your ownership of the music. With copyright, if someone uses your music without paying or crediting you, you can sue for compensation and lawyers' fees. And registered copyright gives you the right to register your work with U.S. Customs to avoid having illegal copies of your work imported into the United States. How Do Copyrights, Patents, and Trademarks Differ? It's worth noting that copyrighting your music is only one step in protecting your work. For instance, registering your works with a PRO (performance rights organization) is also important. You also need to know that copyrighting your music isn't the same as getting a patent or a trademark. 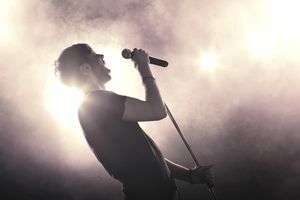 In the United States, copyright protects "original works of authorship," including musical, literary, and artistic creations such as songs and albums. A patent, meanwhile, protects inventions. If you invented a new form of musical instrument, for example, you might consider getting a patent for it, but a song doesn't qualify. And a trademark is a recognizable symbol, word or words, such as a brand name, but again, music isn't covered. Patent and trademark aren't interchangeable with copyright—they're three different legal concepts. To protect your music, you should copyright it. Copyrighting your music isn't hard or expensive. It's simply a matter of filling out some paperwork, either digitally or on paper, and submitting your claim. Note that the process described here applies to U.S. copyrights; the process differs in other countries. Gather the information you'll need to complete the registration process. You can copyright entire albums or individual songs, but note that the price is the same for each. In other words, it costs you the same to copyright an entire 14-track album and all the works contained on that album as it does to copyright one single from the album. Go for bulk when you can to keep the price down. You'll need the album/song titles handy to complete the process. Navigate to the U.S. Copyright Office website and decide if you're going to complete the registration online using the eCo System or if you want to download and print the forms to mail to the Copyright Office (use Form SR). Using the online system is quicker and cheaper, although in either case, the processing time can stretch over many months. Check the Copyright Office website for current pricing. Use the Limitations of Claim part of the form if your album contains any cover songs. The form will allow you to exclude the music, the lyrics or both the music and lyrics. Be sure to do this for any song on your album for which you do not have rights to full and clear copyright. Submit your completed forms. Using the online system, once you submit your forms, you will receive a receipt that acts as proof of your copyright application. If you're using paper forms, you will mail the completed forms with your CDs to the office on the application. Note that processing can take six months or more, but if you keep your receipt from submitting your form or proof of mailing the forms (such as a certified mail slip or FedEx receipt), then you will have proof of the date you registered your copyright.